Protected and held up to the admiration of both locals and foreigners are the ancient cities such as Anuradhapura and Polonnaruwa far from the hub of Colombo. It is, however, ironic that the one-before-the-last kingdom of this country, a stone’s throw from the bustling metropolis of Colombo and part of the capital of Sri Jayewardenepura-Kotte is being left to the ravages of modern times. With its precious archaeological sites being razed to the ground systematically by ‘new settlers’ to make way for urbanisation, it is on an afternoon when the very skies seemed to be crying for Kotte’s past glory that several ‘Kotteites’ sat down to discuss an action plan to protect not only theirs but also the country’s heritage. 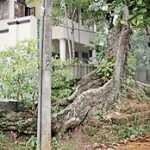 As thunder rumbled and lightning streaked across the skies, the initial meeting of the ‘Pressure Group to Preserve and Promote Kotte’s Heritage’ was held at the home of Lakshman Perera in Kotte on May 9. The catalyst for the formation of a pressure group is researcher Prasad Fonseka, though not a Kotte descendant or resident, but one who has walked the length and breadth of this ancient city, identifying where the landmarks of yore have been. The others whose families can be traced to having links with Kotte since the time of the Portuguese are Terrence Rodrigo, Dr. R.G. Bulathsinhala, W.D.L. 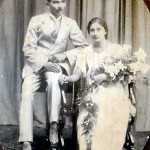 Mahilal and Ishan Wiratunga. Pointing out that even though the ancient city of Kandy was burnt eight times and Hanguranketha, the second main city in the Kandyan Kingdom, four times, they were rebuilt by successive kings, Mr. Fonseka laments that once the Kotte Kingdom which thrived from around 1370 to 1565 was destroyed and abandoned by the Portuguese, its last inhabitants, no one re-built it. “The Portuguese extracted materials from Kotte for the construction of other forts and buildings especially in the Colombo area,” he says, underscoring that whatever is left is being destroyed by the new settlers of Kotte in recent times, without a thought for the historical value of each and every inch of this lost kingdom. “There is massive destruction,” according to him. Briefly, Mr. Fonseka gives details about the formidable fortress that was Kotte, which for about 190 years could not be breached. There were seven passes through which the city could be entered. They included one over land, another over a drawbridge and the other five through the ancient Diyawanna Lake. 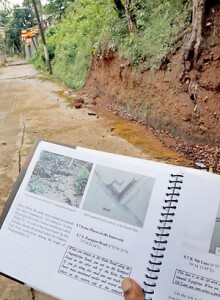 The land access, a 200-ft defile was at Pita Kotte, while the Ambalama pass (which had been at Rajagiriya is now gone forever) had a wooden drawbridge. Flipping back the pages of history, he says that it was Nissanka Alakesvara, a powerful minister of Vikramabahu III — who was ruling the Gampola Kingdom — who fortified this marshy area, known as Darugama, south of the Kelani Ganga and set up Kotte. Later, around 1415, Parakramabahu VI strengthened the inner city with secondary defences such as a rampart and a moat. After that there were several kings, the last one being Buvaneka Bahu VII, during whose time the Portuguese occupied the city of Kotte, says Mr. Fonseka, adding that an intricate tunnel system provided a secret escape route when the city was besieged. The Portuguese abandoned Kotte around 1565. Getting back to the present, he points out that numerous requests to the Department of Archaeology to conduct a survey of the vestiges of monuments left, have fallen on deaf ears. 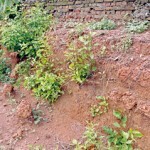 Meanwhile, Archaeological Department sources when contacted by the Sunday Times said this year they were taking steps to protect the kotu-bemma (ramparts) in Kotte. They were doing what they could whenever funding was available. Anyone who is interested in joining the Kotte Pressure Group, may contact Ishan Wiratunga on: 0776619188 or E-mail: ivhw2006@gmail.com. n For the Department of Archaeology to survey the monuments, using a detailed drawn-to-scale map of the Dutch. Thereafter, the monuments should be repaired and name-boards put up, allowing those who own the properties, be it the state or people, to look after and protect them.n Carry out excavations with the support of the Sri Jayewardenepura-Kotte Municipal Council to fortify whatever is remaining. n Regular visits by the officials of the Department of Archaeology to ensure the protected sites remain protected. It is through the eyes of one of the oldest residents of Kotte, 83-year-old Wasala Liyana Muhandiramge Marcus Terrence Rodrigo, whose ancestors had engaged in secretarial work at the Kotte Palace that we get a glimpse of what this area looked like when he was just a little boy. His home is set amidst a lush and tranquil garden with towering trees and smaller flowering bushes, a pond dotted with lotuses and bird-calls aplenty. He recalls how a majority of the homes scattered across the area were pol-athu (thatched) geval with only a few having tile-roofs. Different areas were occupied by different families, most probably coming down from the time of the Kotte Kingdom. They included Pannikkimulla which was the Rampart Road area; Kuruwitamulla where the Kuruwitage people lived; Kadjuwattemulla, the Ferry Road area where the Coorays and Peiris’ lived; Kolombathantri Mawatha where the Kolombathanthri families resided and the area surrounding the Palace where the Magalages lived. “Kotte was surrounded by marsh and Nawala was an island,” he says, explaining that where his home is down 9th Lane, it was a parana wewa, with the bund fortified with a kotu-bemma of kabok. To the east of Kotte there were three huge water bodies, Bunwala, outside the fort, Mahawala where the Battaramulla bridge is located now, Kavaiyanwala in Ethul Kotte and Kimbulawala in Madiwela. Those were the days when there was no electricity or water service and Kotte was sparsely populated. By around 6 in the evening everyone was in their homes because there was a gloom cast by the heavy canopy of trees. Anyone who ventured out would take a hulu-aththak to shed some light. Next we take a walk to the ‘Maha Gedera’ where Mr. Rodrigo was born 83 years ago, passing Thalgaha Gedera also of a relative where there had been a huge thal tree. Studying at the school of the Christian Missionary Society up to Standard 6, he talks of the large number of friends he had in the village and how after the lessons of the day they would walk through the sprawling gardens sans fences, taking the pick of their choice from veralu, amba and pera trees found in abundance. While all the other boys would be reprimanded for their misdeeds, young Terrence got off scot-free because he was the munubura (grandson) of Headman John Arachchi Mahathmaya. His mother was displeased over his behaviour and removed him from the village school and sent him to Nalanda College to break the truancy-pattern he indulged in with the boys of the area. Although his grandfather had died a year before Mr. Rodrigo was born, many are the stories he had heard “how he was like a king having 17 assignments including the collection of taxes and the registration of births, marriages and deaths” during the era of the British. He was also a stickler to the rules and would have no hesitation in restraining horu (thieves and robbers) on the dandu-kande. This was like the stock where they would be restrained by inserting their hands through a huge plank and padlocking them in place. His grandfather was the only Buddhist in their clan, while everyone else was Christian, according to Mr. Rodrigo, with the biggest monument in the Christ Church cemetery being at the grave of his grand-uncle Hendrick Rodrigo. Delving into history, Mr. Rodrigo says that when the Portuguese abandoned Kotte they destroyed the city and took the local families out as well. Gradually, the people came back and settled there during the time of the Dutch. 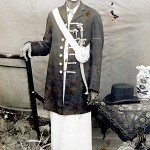 He recalls how his father, H.C. Rodrigo, described the remnants of the Maligawa being destroyed in 1909. He had also said that there had been a road called Usweediya from the Palace to the Pita Kotte temple. “We never saw that road, but my father as an Urban Council (UC) member re-surveyed the area and attempted to protect some of the ancient landmarks. He even died of a heart attack in 1965 during an inquiry about the destruction of some ramparts. 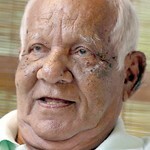 He was then the Vice Chairman of the UC,” says Mr. Rodrigo who is saddened by the fate that has befallen Kotte now. Mr. Rodrigo, who reiterates that the history of Kotte goes back over 400 years, long before the time of the Portuguese, is currently documenting it for posterity.